More signs are expected to appear in the next few weeks. This entry was posted in Uncategorized on October 6, 2017 by gottagocampaign. More portable toilets and signs pointing the way: surely the City can do this? GottaGo! is aware that the discussions for the 2018-2021 City budget are really heating up. We have been hearing from many Ottawa residents that they are becoming increasingly frustrated with the lack of public toilets in the city, at major transit stops, in parks and in other spaces. Please call your City Councillor(s) and let them know how you feel. Having toilets in hub stations of the LRT phases one and two, and having an app that directs people to existing municipal toilets is a step, but certainly not enough. Especially when 47% of the existing toilets are closed most of the time, and when there is no directional signage. More easy-to-find public toilets are a necessity in a city with an aging population. Over the past three years, GottaGo! 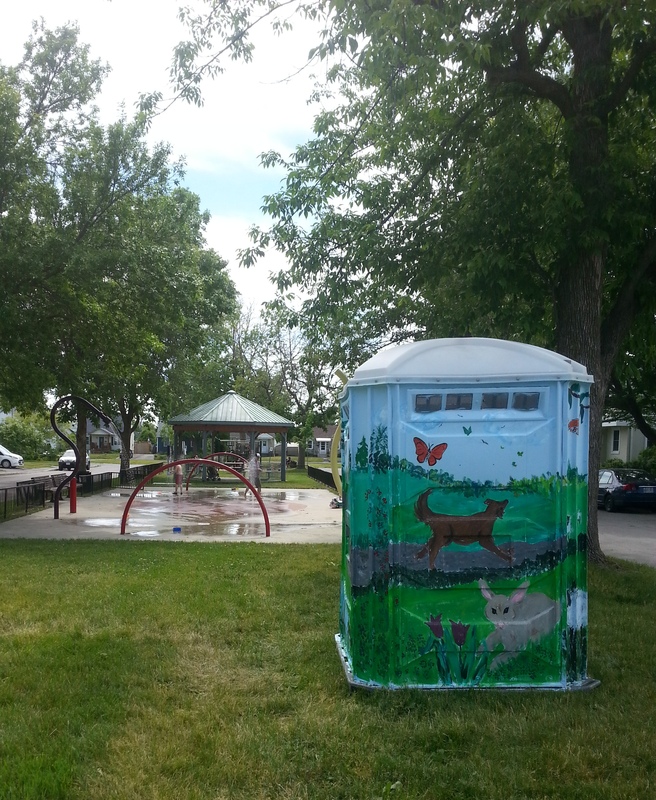 has attempted to accommodate City budget restraints by reducing our ask to more portable toilets in seasonal parks and splash pads, signage pointing to existing public toilets, and a requirement for sports teams to pay for portable toilets when they use City property. Even these limited inexpensive requests have been ignored, and we are fed up. There is growing public and media awareness about the need for public toilets throughout the province. There have been numerous news stories and op-eds recently calling for more public toilets, including the five linked below. The pressure will only build over the three-year term of the next budget and the City should be ready to meet the demands of citizens for these toilets. This entry was posted in Uncategorized on September 29, 2017 by gottagocampaign. A research project to assess the quality of Ottawa municipally-funded toilets called Flushing Inequality has found them sadly lacking. Despite being the nation’s capital, Flushing Inequality is the first systematic examination of the availability, accessibility and quality of public toilets in Ottawa. Using feedback from an advisory committee of community members, the researchers created a comprehensive visual assessment tool to assess the availability, accessibility and quality criteria of a sample of 92 public toilets owned, operated and maintained by the City of Ottawa. (almost 1/2 of the “public-facing” toilets the City operates). The surveys were conducted between December 2015 and February 2016 by a team of five graduate social work students. To ensure consistency of responses, the research team visited all facilities in pairs during standard hours of operation, Monday to Saturday between 9:00 am and 5:00 pm. While 82% of public toilets in the City of Ottawa are equipped with sanitary waste disposal units, only 4% are equipped with biohazard waste disposal units. 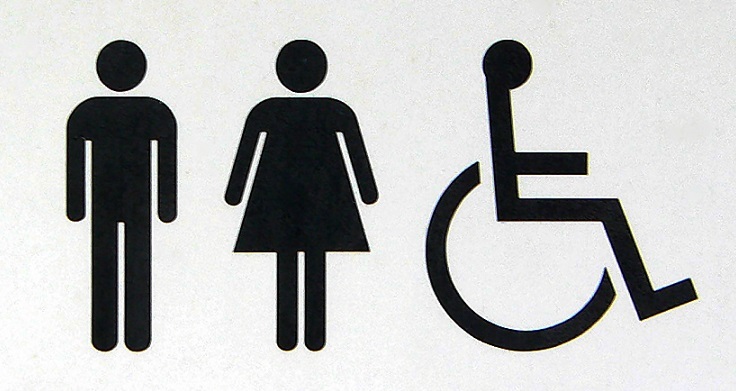 63% of public toilets in the City of Ottawa deemed to be “wheelchair accessible” pose at least one accessibility barrier to service users with mobility challenges. Although assessed during standard operating hours on weekends and weekdays, at time of survey, 45% of the City of Ottawa public toilets were unavailable for access, either due to seasonal or daily closures. Among public toilets located within 100 metres of a transit stop, 25% of these public toilets were closed to the public at the time of survey. 85% of public toilets lacked signage outside of the facility to indicate presence of a public toilet. From the point of view of GottaGo! the study makes it very clear that the city needs more and better public toilets with clear directional signage, and it needs them NOW. Call or write your Councillor and let him/her know that the situation has to change. This entry was posted in Uncategorized on May 5, 2016 by gottagocampaign.